This is Regency Hove. Along with the whole seafront from Kemp Town to Hove, it was almost razed to the ground and replaced in the 1930s by 'New Brighton' (see bottom picture). seeing the Royal Pavilion as a monstrosity and a decadent Royal folly which had had its day. 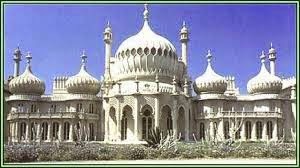 Shockingly he was not alone among the councillors who willed two of Brighton's strongest USP's to oblivion, with not even the picturesque Town Hall safe from his sights. 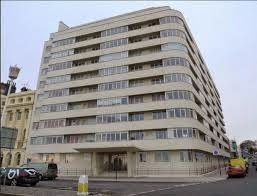 Alderman Carden was greatly inspired by Embassy Court, the sole modernist building to sneak onto Brighton and Hove seafront in the early 1930s, a leading example of art deco in its own right, albeit 'in the wrong place' as so many have commented over the years. 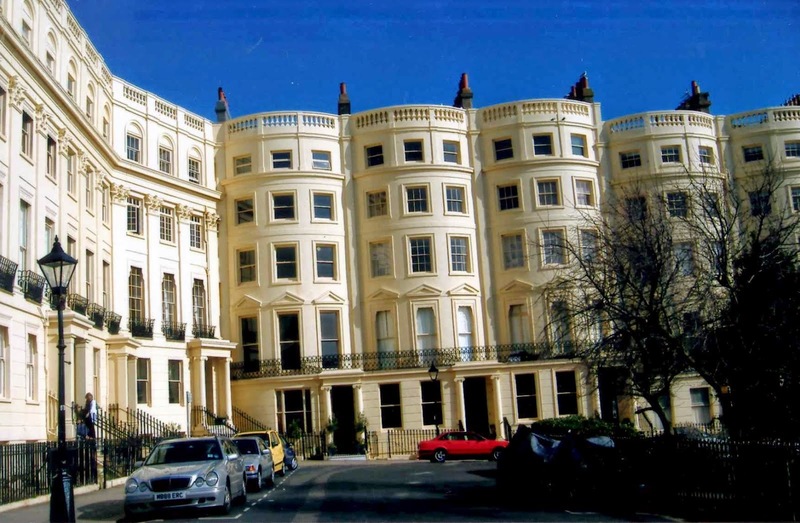 Luckily before Alderman Carden's dastardly plans to make the whole of Brighton and Hove look like Embassy Court could bear fruit WWII broke out in 1939 and his master plan had to be shelved whilst the war was fought. As fortune would have it in 1941 he died. 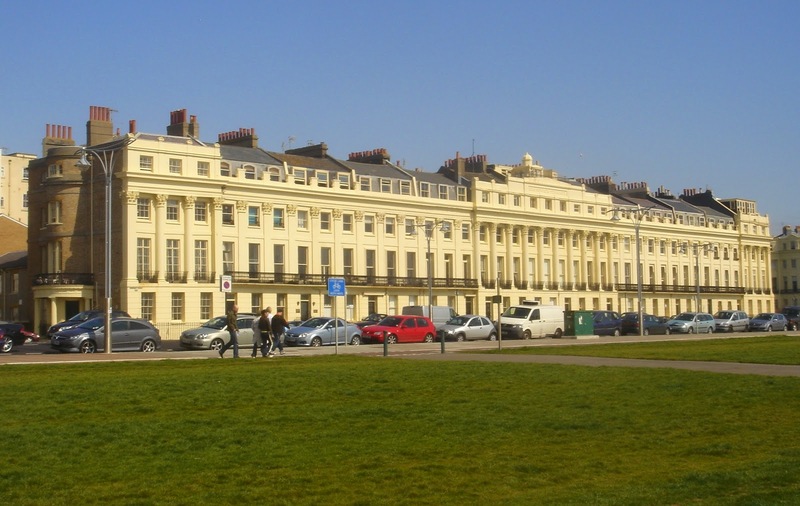 Shortly after the war ended, a group of Hove citizens, determined that the area should never come under such a threat again, formed The Regency Society, which is still going today. 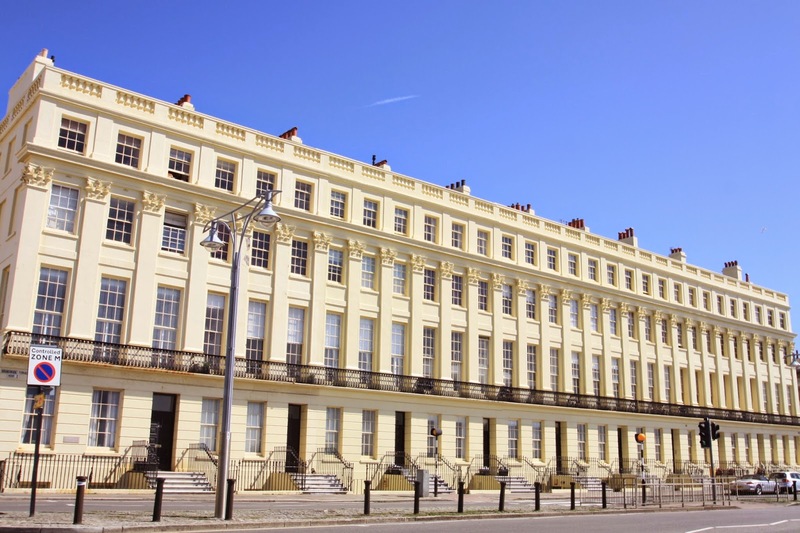 A number of regency buildings are now listed and there are 34 conservation areas within Brighton and Hove though there is still a long way to go to protect all buildings of historical interest. In his love affair with 'progress'. Alderman Carden also wanted to extend Brighton and Hove as far as Worthing into one super city akin to London. 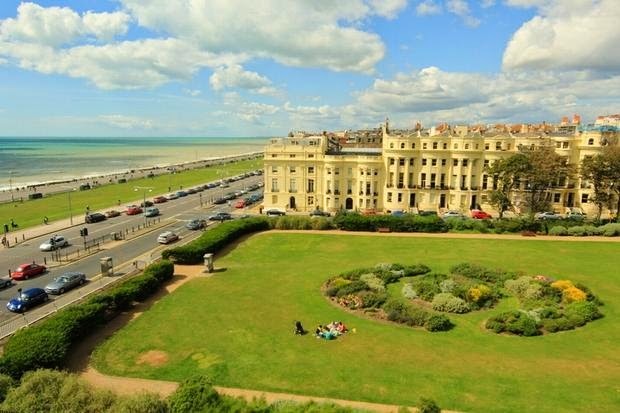 However Alderman Carden also had a surprising side, for he purchased the entire Downs around Brighton and Hove and later sold them back to the council at cost price to protect them and the water supply of Brighton. Had he not done so, there might be no Devils' Dyke today and the Downs may be considerably more spoiled than they have been. It seems an extraordinary contradiction that he cared so much for the preservation of the surrounding countryside, but sought to take a wrecking ball to the special character of Brighton and Hove, much though he instigated many good things in his forty years with the council, such as the city's municipal tram and telephone systems. But this wasn't the only surprising contradiction in Carden's character. He was an immensely wealthy solicitor and local dignitary born to an old Brightonian family yet was a staunch socialist all his life (which possibly explains his contempt for any building alluding to wealth or decadence). Less controversially, Carden campaigned for Brighton to found its own university nearly two decades before it did, though he may not have approved of this being plonked on his beloved Downs! With thanks to Andy Garth, owner of that magical emporium of Brighton history known as Brighton and Hove Stuff in Western Road, who inspired this posting with his prints and encyclopaedic knowledge of, and enthusiasm for. Brighton. Our architecture needs our protection and patronage as much as the nation's art. Shocking that the Royal Pavilion is open to the public. Isn't there a Turkish Sultan who will buy it for his wives and concubines? Excellent point Steve. And it could be argued that our historic architecture IS art! Gorilla Bananas, as long as they treat it right, I really don't mind. Nota Bene. Thanks for that. I feel a blog part 2 coming on! 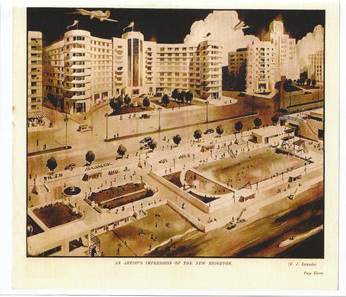 Have just found out that the architects of the Churchill Centre demolished half The Lanes to build it and were intend on flattening The Grand Hotel and extending to the sea front, but thankfully were prevented from going quite that far. Save The King Alfred Leisure Centre!